One of the biggest things that most first time hot tub buyers overlook is how their new hot tub will keep the water looking clean and clear. While definitely not as exciting as some other hot tub features, the hot tub’s filtration system is perhaps its most critical component. 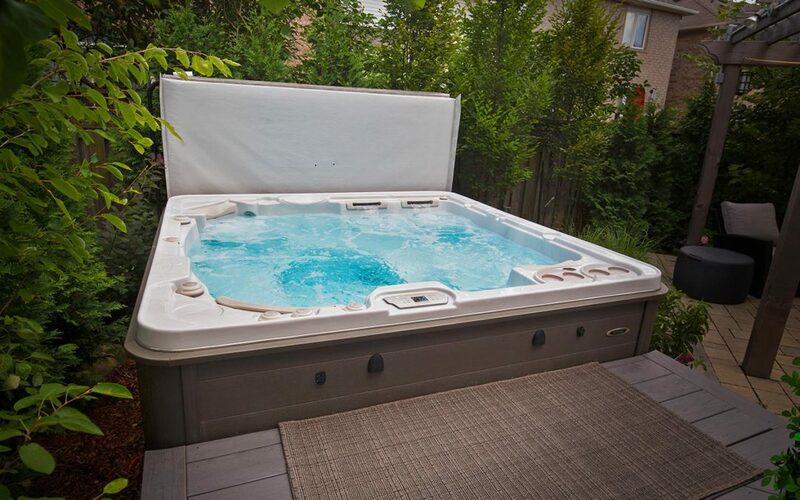 Hot tubs with good filtration systems keep the water clean and clear with little maintenance. 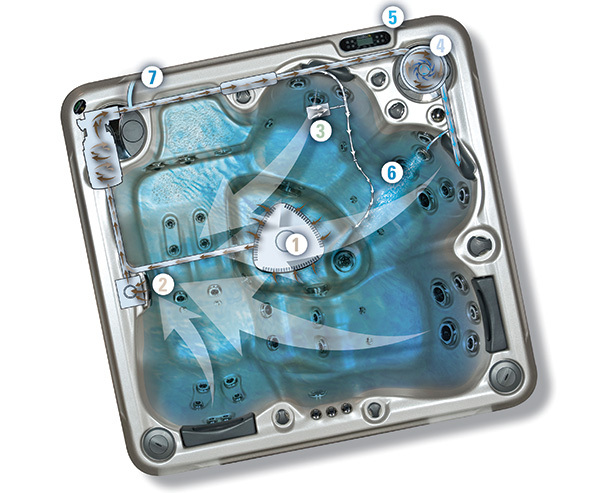 Without frequent maintenance, hot tubs with poorly designed filtration systems will easily turn cloudy. 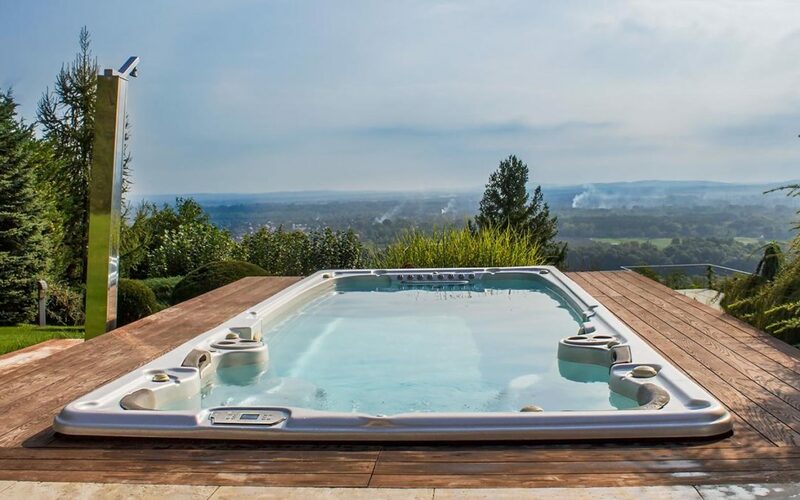 Before we get into the differences between the various hot tub filtration systems, let’s first discuss why hot tubs need a filter in the first place. Why Do Hot Tubs Need A Filtration System? Without a filter the hot tub water would fill with contaminants; quickly make the hot tub unusable. These contaminants come from both outside sources (leaves from trees, dust from the air) and from the bathers using the hot tub (sunscreen, makeup, deodorant etc). If left alone they can cause a range of problems; from cloudy water, to an increase in chemical usage, to the growth of an algae bloom (green water). To combat this, hot tubs come equipped with a filtration system. These systems work by pumping the hot tub water through a microfilter, which traps the contaminants and allows them to be easily removed. In modern hot tubs, this filtering process is done automatically with pre-programmed “filtration cycles” that typically run anywhere from 4-24 hours per day. 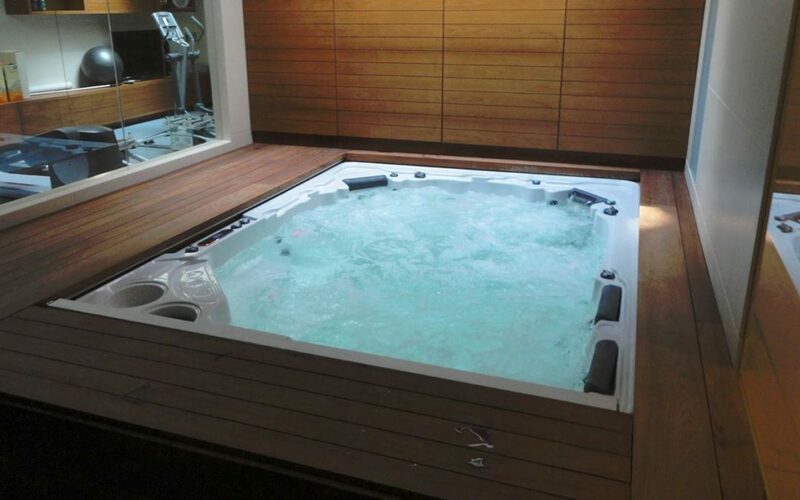 While there are many different hot tub filtration systems used in the industry, these different systems can be grouped into one of two categories; suction-side filtration and pressure-side filtration. To keep the water clean and safe to use, most hot tubs manufactured today use a “suction-side” filtration system. In this system, the microfilter is placed inside the “skimmer” of the hot tub. The hot tub pump pulls in water from the surface through this skimmer. 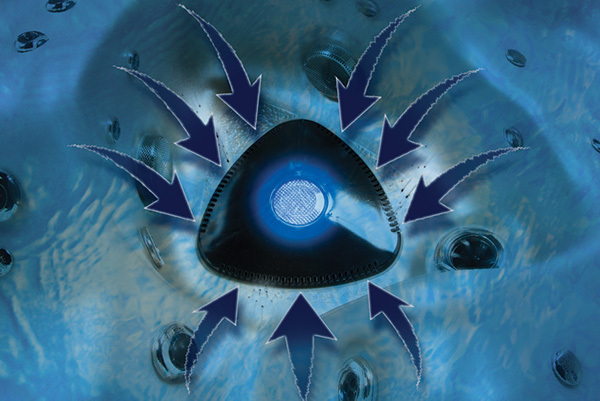 The water then passes through the filter basket, which removes larger debris such as leaves, then through the micro filter, through the pump, then back into the main body of water through the massage jets. The advantage of this filtration system is that it is cheap to install. This helps keep the purchase price of the hot tub down. Since water is only skimmed at the surface, any heavier debris like sand will fall to bottom of the hot tub. This heavier debris then needs to be manually removed. It’s not very efficient. In order to properly filter the water in a hot tub, suction side filtration systems need to run a minimum of 8 hours per day, with most requiring 12-24 hours per day. The longer these systems run for, the higher your energy costs become. While there is nothing wrong with suction side filtration systems, there is definitely room for improvement. With this in mind some hot tub companies, like Hydropool Hot Tubs, developed what became known as “pressure side” filtration. A true pressure side filtration system differs from conventional suction side filtration in a few ways. These changes are designed to mimic the ultra-efficient filtration system of an in-ground pool. The biggest change with this new system was that the water now flowed from the pump to the filter, rather than water flowing from the filter to the pump. In a true pressure side filtration system, like Hydropool’s Self-Cleaning system, water is drawn in by the pump through both the skimmer and floor vacuum. The skimmer basket and floor vacuum then catch any larger debris – like leaves – that might damage the pump. The water then flows through the pump and is forced through the microfilter under pressure. The microfilter then filters out the smaller dirt and debris, and the clean water is returned to the hot tub through the jets.. The built-in floor vacuum allows the hot tub to filter out heavy debris like sand. This means you will need to spend a lot less time manually cleaning the hot tub. Pressure-side filtration is much more efficient than suction-side filtration. The best pressure-side filtration systems – like those in Hydropool’s Self Cleaning hot tubs – are able to filter the water in as little as 15 minutes! This reduces the run time of the filtration cycles to just 2-4 hours per day; saving you a ton of money in energy costs. Pressure-side filtration systems typically use a dedicated filtration pump to filter the water, rather than the jets pumps. These pumps are typically much smaller, and more energy efficient, than jet pumps, saving you even more on your monthly energy bill. The AquaFlo filtration pumps used in Self-Cleaning hot tubs, for example, use around 1/6 of the power of a traditional jet pump. Pressure side filtration is able to filter so effectively that it reduces the need for chemicals such as clarifiers. Not only does this save you money in chemical costs, it also means that you won’t have to drain and refill the hot tub as often.Hot tubs need to be drained when too many “dissolved solids” are introduced into the water. These dissolved solids are mostly minerals that get into the water both from bathers and from chemicals. By reducing the amount of chemicals that you add to the water, you also reduce the amount of dissolved solids in the water, meaning less water changes. How Pressure-Side Filtration works. Water is drawn in through the skimmer and floor vacuum, then through the pump where it is forced through the filter under pressure and returned back to the hot tub. Pressure side filtration systems cost more to manufacture, increasing the purchase cost of the hot tub. This additional cost is more than made up during the life of the hot tub however. While often overlooked by most people, the filtration system is perhaps the most important component of a hot tub. 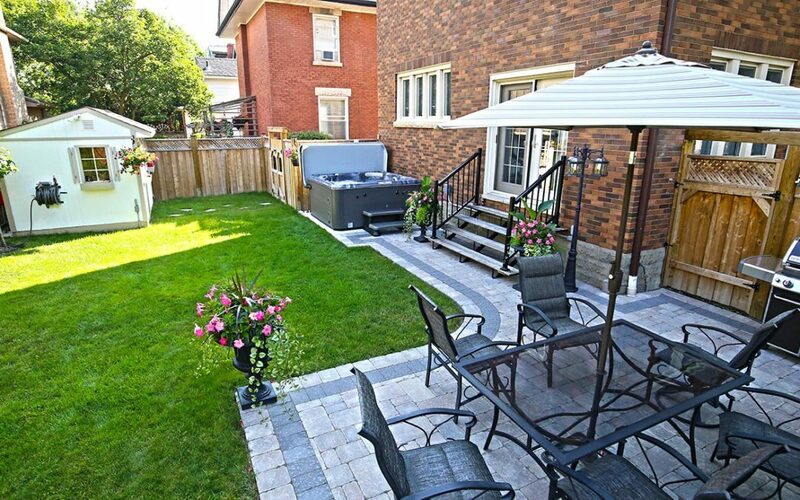 A hot tub with a poorly designed filtration system will cost much more to run and require more maintenance than one with a well designed filtration system. Not only that, hot tubs with poor filtration are also much more susceptible to problems such as cloudy or green water. These problems not only cost money to fix, they also cost time as you are not able to use your hot tub while fixing these problems. Although more expensive than traditional suction-side filters, pressurized filtration systems like those found in Hydropool’s Self-Cleaning hot tubs, run at a fraction of the cost of traditional filtration systems. They also require much less maintenance than suction-side filtration systems, leaving you more time to enjoy your hot tub!